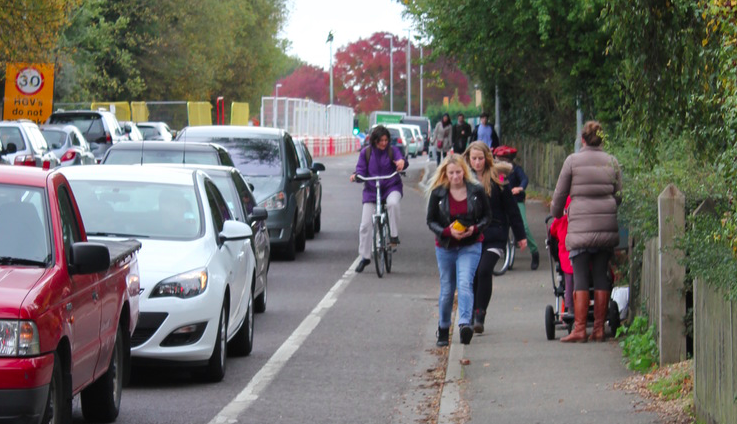 We are campaigning for urgent improvements to be made to cycling and walking routes between the new North West Cambridge development ("Eddington") and neighbouring communities, especially Girton village. 19 January 2016: University response to our petition (pdf) – it contains some rubbish - for example that the junction has been through two safety audits, so it must be fine, whereas in fact both safety audits made the same recommendations as our campaign; also the response asserts that there is no demand for people to go in the direction of Girton; whereas we have quite clearly identified over a quarter of a million journeys by young children in the next 10 years that will go in this direction - and that is just for the school! What about all the people of Girton who will want to travel through the NWC development?! 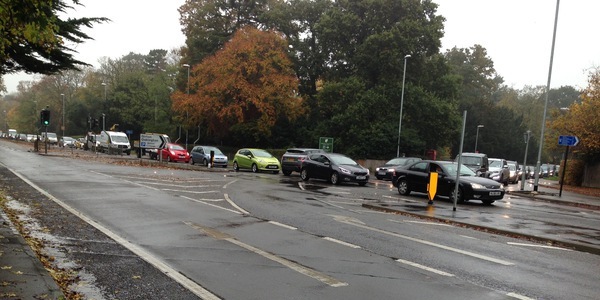 Anyway, the good news is that the University have AGREED to look at our suggestion that they should buy land on the South of Huntingdon Road, to improve the cycle and pedestrian connections towards Girton and to enable a possible controlled crossing. 7 November 2015: A Freedom-of-Information request obtained a copy of the safety audit [5 February 2014] for the Huntingdon Rd / Eddington Ave junction. This safety audit made recommendations identical to our campaign's proposals, including the recommendation that crossing facilities should be included in the junction, and that the pinch point on the NW-bound cycle lane should be eliminated. Why were these recommendations not implemented? Our campaign continues! 24 October 2015: Sign the petition – www.ipetitions.com/petition/EddingtonSafety – we presented it to the University, with 438 signatures, on 3 November 2015 [David MacKay's remarks to the Senate House discussion], but the petition will remain open until our campaign is complete, so please do sign if you haven't already! Other sites: We've posted information about our campaign to cyclescape and streetlife [conversation]. 29 October 2015. An additional longer version of the "EddingtonSafety Part 2" video, in two youtube pieces: Part 2a [14 mins] Part 2b [9 mins] – for people who felt that the main "Part 2" video [14 mins] was too short :-) . Monday 19th October 2015. These 50 slides were presented at a meeting with members of the North West Cambridge team, with County Council staff, with a County Councillor and District Councillor, and with the Headmaster and Bursar of the University of Cambridge Primary School. This webpage is maintained by Prof David MacKay.